Hello, crafty friends! Leslie here to announce the Winner and Top 3 from last month’s “Birthday Bash” challenge. A huge THANKS to everyone who participated – we sure enjoyed perusing those gorgeous entries! 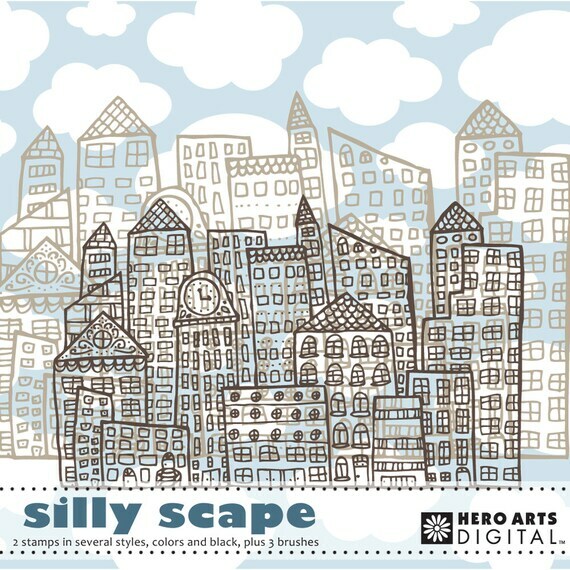 You’ll remember the prize up for grabs was Hero Arts Silly Scape! Congrats, Dorothy! Please email us at a2zscrapping@gmx.com to receive your digital kit and your winner’s badge! Congrats to our Top 3! Please email us at a2zscrapping@gmx.com to receive your Top 3 badge! Thanks again to all for playing in our challenge last month, and thanks for stopping by! The a2z scrapbooking store carries a wide variety of Hero Arts products! Get discounted new releases, sales, grab bags & more. Proceeds from our store benefit Celiac & Behcets disease foundations. Use my discount code Leslie15 to get 15% off your purchase of $25 or more! If you’re looking for a Hero Arts product you don’t see in store, use the Request Custom Order button from within the shop. Categories: Handmade Cards, winners | Tags: Birthday Bash | Permalink. Oh wow…Thanks for choosing my card as one of your top three! I’m honored! Aww, thanks so much for the pick ladies! So honored! Congrats to all! Wonderful work and beautiful entries! Congrats to you all! Some really fun and nice cards!